If you’ve ever talked about basic income — that’s the idea that the government should give everyone a monthly stipend to cover their everyday needs — odds are you’ve run into That Guy. Maybe it was the chap in your undergrad philosophy class who loved Ayn Rand and playing devil’s advocate. Maybe it was a high-profile investor on cable news. No matter who it was, they share the same argument — if the government provides for people by giving out a universal basic income, those people will lose the motivation to work and become totally dependent. Plot twist: there’s now compelling evidence showing that in at least one case, basic income didn’t discourage people from working. 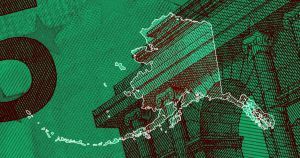 The National Bureau of Economic Research (NBER) published research earlier this year showing that Alaska’s ongoing basic income program — started in 1982 — had no direct impact on full-time employment in the state. The state has the highest unemployment levels in the country, but that’s totally unrelated to its basic income program and the payments actually helped boost part-time employment within the state by 17 percent. Take that, Kyle from Philosophy 101! Basic income can be a great tool and safety net for those who need it, but some have argued that the government should go even further. Futurist Kai-Fu Lee argued in his new book “AI Superpowers: China, Silicon Valley, and the New World Order” that as more jobs are automated, basic income will only serve as a painkiller. To truly serve people, the government should kick it up a notch and actively provide careers and salaries for those who serve their community in addition to providing that safety net. And given the NBER’s new findings, he may be on to something.